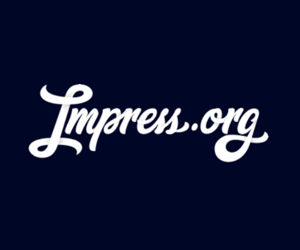 I'm Head of Support and Community Outreach at GiveWP.com and Impress.org. I'm the author of several popular free plugins and Lead Admin of the Advanced WordPress Facebook group (which boasts over 30K members). 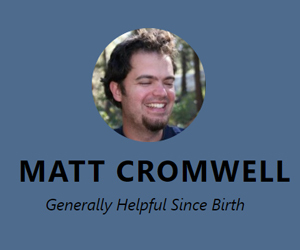 I blog often at mattcromwell.com, givewp.com, wordimpress.com, and mediatemple.net. Windows 10 is now running on more than 14 million devices worldwide since the software began rolling out on July 29, saving users’ Bing search information, private email content and the apps they access, along with “your typed and handwritten words”. Do a casual search for “Windows 10 collecting my data” and you’ll find all kinds of crazy pieces claiming that the sky is falling with Windows 10. Afterall, who in their right mind would give away their operating system for free unless they get something in return? The first thing that really makes these kinds of claims just sound unjustified is that there are laws in the U.S. against such practices. Specifically the Federal Trade Commission Act which — among other things — “prohibits unfair or deceptive practices and has been applied to offline and online privacy and data security policies” (see more in this great Practical Law article). I actually think this list is not specific enough. I don’t believe, for example, that they are collecting information “gathered from cookies” generated from the Chrome browser, but rather the new Edge browser. Further, I highly doubt they are collecting “private communications including email content” when those emails are your Gmail account. Instead, I believe they are scanning your email content from Outlook. All together that means that they are scanning data from services that they provide in order to improve their products. As a product guy, I know how important information like that is to making the products better. I often say that when it comes to advertising Americans want to have their cake and eat it too. We get upset if Amazon — for example — suggests books or movies that we have absolutely no interest in, but we also complain when they want to collect the data necessary to make better recommendations. But at the end of the day, the data isn’t to invade your personal life (because really, no one cares), but to improve their products. So let’s all take a big deep breath and be thankful that there are laws that protect our privacy, trust that giant corporations really don’t care about the intimate details of your life, and be thankful that your computers can run much more reliably and safely because of these efforts. A dash of pop-culture, a touch of presidential politics and this story becomes really interesting. Have you seen the “We the People” website? I think it’s an amazing resource that should be leveraged more often. Basically, people can create a petition there and gather signatures. If your petition reaches 100,000 signatures or more within 30 days then the White House Administration will respond to it directly. As soon as I learned about it, I had a feeling this could be amazingly hilarious. The Christian Post has a nice summary of really funny petitions and awkward responses from the White House. This feels like the first truly national conversation Netflix has started about one of its shows… this feels like something much more profound. A genuine phenomenon, possibly the service’s first. So combine an amazingly unique and anger-inducing documentary series on Netflix, with a population-driven mechanism to demand a response from the White House and you’ve got a really interesting story. Here’s the whole petition (which you can still sign if you like). Can Zuckerberg’s Internet.org really raise 1 in 10 people out of poverty in India? This is a big story worth watching. A large US-based internet company is trying to provide free internet to countries which have a very low connection rate per their population. It’s being debated in India at the moment. There are really generous and “BIG” ideas about how powerful this could be for marginalized people in countries like India. But there are also very loud and intelligent skeptics who see Facebook’s strategy as a corporate grab for market-share rather than a benevolent act of charity. The crux of the matter is whether or not Facebook can provide, via it’s service Internet.org, a free and unfettered Internet access, or whether — by it’s very nature — it would bias or provide benefits to internet sites with bigger pockets. The word used to describe a “free and unfettered Internet access” is called “Net Neutrality”. Read their whole Open Letter here (ironically posted on Facebook). Internet.org doesn’t block or throttle any other services or create fast lanes — and it never will. We’re open for all mobile operators and we’re not stopping anyone from joining. We want as many internet providers to join so as many people as possible can be connected. Arguments about net neutrality shouldn’t be used to prevent the most disadvantaged people in society from gaining access or to deprive people of opportunity. Eliminating programs that bring more people online won’t increase social inclusion or close the digital divide. It will only deprive all of us of the ideas and contributions of the two thirds of the world who are not connected. It’s also a bit interesting that the ruckus over Internet.org in India comes on the coattails of seeing it abruptly shut-down in Egypt just weeks ago. My bottom line is that the aims of Internet.org are praise-worthy. And what they were providing in Egypt and would like to provide in India also seems praise-worthy. But — as we say in the U.S. — the “proof is in the pudding”. There’s no real way to know whether this initiative really can lift 1 in 10 people out of poverty (as Zuckerberg claims in Reuters article) until it has a long-lasting and well-tested trial in a country where it’s impact could be significant. That could be India. There is no shortage of tech-saavy users and advanced developers in India. But there is a shortage of Internet availability. Here’s to hoping for the best. Wow. This is an amazing list of long-form articles on Business & Tech worth kicking off 2016 with. I don’t think I read one single article of any of these in 2015. Yet, the very first one I grabbed (Easy DNA Editing) just about blew my mind into space within the first couple paragraphs. I’d say this is a great list to kick-off 2016 with. The vending machine—what better symbol is there of Western civilization’s culture of convenience and unhealthy snacks? But what if one could instead feast on words, stories, and ideas? This is an amazing idea. Grab a short-story or haiku print out while walking around town, maybe between meetings or your daily commute. Pick a 1, 3, or 5 minute read from some of the best modern literature. Everything else could be donated to literacy programs or charities that focus on the advancement of literature in general. As a musician I’m always excited for any and all ways in which musical artists can be more adequately compensated for all the hours of music they provide. I also love streaming music, but it’s been a problem for a lot of artists. Have you read this piece? “My song was played 168 million times on Pandora. I Received $4,000…” It’s a really damning piece on the inherent problems with copyright, record labels, and streaming services. So if Spotify is saying it’s going to remedy that issue, then I’d go out an by stock in Spotify today. But based on this article, so far all that they are saying is that Spotify is committed to solving the problem at some point. What Spotify (or Pandora) currently pays in royalties to me is not as important as making sure money from song plays gets into musicians pockets. I personally don’t think that’s a problem a streaming service can fix. It’s a record label issue. The more musicians are enabled to go direct to market the better. Similarly to WordPress plugin shops, musicians should start considering running their own online shops where end users can purchase mp3’s and streaming services can purchase licenses. The story of Christmas is not a political parable but an allegory of light brought into a dark and suffering world, on a date that coincides not accidentally with the winter solstice. Its newborn prophet is a harbinger of divine love for all, most emphatically including the sinners, the impious, the unclean, the unaccepted, the foreigner, the stranger, and the impoverished. I have this thing about Christmas. I actually try hard every year to celebrate it. For me, that often means I call it “Incarnation Day” instead of Christmas. It means that we actually do “stockings” in our house on St Nicolaus Day (Dec 6) instead of the 25th. It means while we have a traditional Christmas dinner, while we dine we talk about poverty, not gifts. We talk about presence, not presents. Incarnation Day for me, means welcoming the stranger — not assigning them a scarlet letter, or a star on their jackets, or a special ID card based on their religion.